Rowena Plateau, Tom McCall Preserve, Columbia Gorge, OR 4/2013. 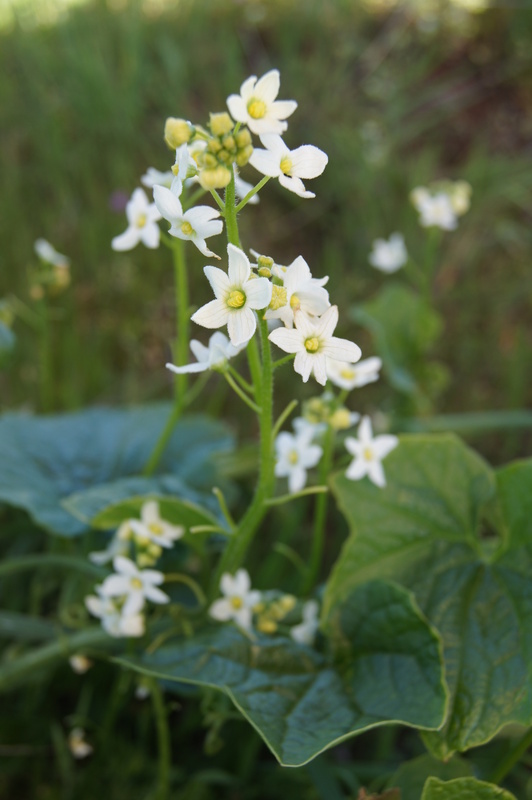 This vine of the cucumber family, also known as Bigroot, can climb over shrubs or small trees. 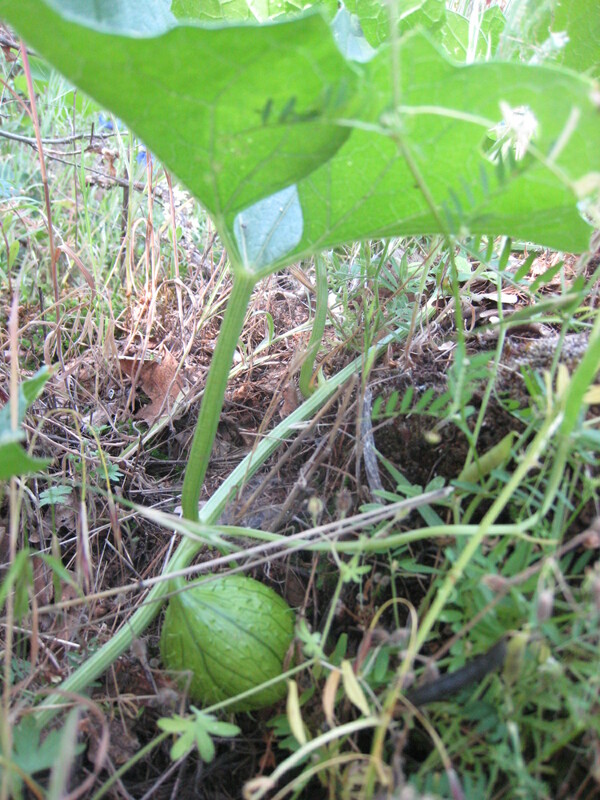 The small cucumber-like fruits shown below are not edible, the leaves however, may be. Both are said to be very bitter. There are some reports that the seeds are hallucinogenic; those reports seem to be about Marah fabaceus, a close relative to this plant. We do not advise eating any part of this plant for food or supposed psychoactive effects. Labyrinth Trail, Columbia Gorge, WA 6/2013. This entry was posted on June 21, 2013 by nwwildflowers. It was filed under Cascades, Coastal, Columbia Gorge East, Columbia Gorge West, cucumber, edible, grasslands/prarie, Low Elevation, May, Oregon, rocky slopes, Southern Oregon / Northern California, Unique to Northwest, white and was tagged with Columbia Gorge, cucumber, flower, hebrew, marah, rowena, Wildflowers. In the original post, we said this was “marginally edible.” Since this post has gotten a lot of hits from search engines about whether or not its edible, we changed the post to say that the fruits are inedible. Our understanding is that they just taste really bad. We certainly don’t recommend eating them.